I have always wanted to read about The Wars of the Roses, but I’ve never been able to find a book on the period locally. I purchased Helen Castor’s Blood and Roses thinking it was about that period in English history. It was, but it wasn’t the direct telling of the events of The Wars of the Roses that I wanted (I have since learned to research a book before buying it). I finally found one in the UK (well, duh), in the Westminster Abbey shop (of course). 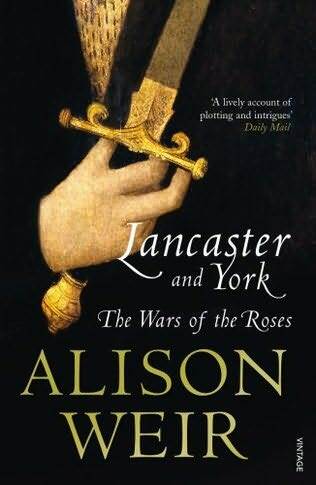 I have read three of Alison Weir’s books before and did not feel strongly about any of them so it was with some reluctance that I picked up Lancaster and York: The Wars of the Roses. However, the three Weir books I read were either about a figure I already disliked (Mary, Queen of Scots), a group of women I turned out to be indifferent to (Henry VIII’s wives), and a Queen I already had a favorite book on (Elizabeth I). Considering that I was possibly biased in my three prior encounters with Ms. Weir’s writing, I bit the bullet and hoped that fourth time’s the charm. The Wars of the Roses technically started in 1455 but Weir starts her novel at an earlier point in England’s history. She starts off almost a century back, briefly introducing us to the prolific Edward III, who had five surviving sons. It would be the descendants of these five sons that would comprise the cast of characters of The Wars of the Roses. At first, I didn’t understand this story-telling decision. But the more I read, the harder it got to remember everyone, the varying strengths of their claims to the English throne, and their shifting (and re-shifting) loyalties. It was helpful to have someone to trace everyone back to, a point of reference that you could always rely on, in Edward III. Even with Edward III, though, it was still a tall task to keep track of everyone. Cousins married each other, shifting the line of succession. Male lines died out, transferring inheritances (titles and assets) to daughters and their husband’s families, or nephews and nieces. Magnates changed loyalties as they see fit, blurring bloodlines. I had to create my own annotated family tree just to help me keep track of the quarrelsome Plantagenets. Weir’s surprising and admirable feat with this book is that, despite the dizzying number of people in it, she makes them all fully-formed characters with real motivations, weaknesses, and passions. While the never-ending plotting and occasional murder of one’s kinsmen is hardly relatable (maybe it is to you, I don’t know your life), the reasons behind them are. 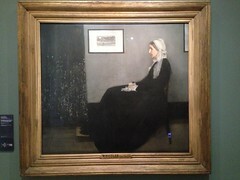 With Weir’s expert story-telling, I found myself frequently groaning in frustration (I’m looking at you Margaret of Anjou), holding my breath with suspense, or mentally cheering a side on. Considering that these people have been dead for almost six hundred years, that’s quite a feat. Even more so when I consider that Weir wasn’t able to stir the same intensity of feeling about Henry VIII’s unfortunate spouses. Although I am now inclined to think that was more an issue of the subject matter than the writers. As frustrating and, ultimately, annoying she turned out to be, Margaret of Anjou makes for more fascinating reading than, say, Catherine Howard. It did take a while for those feelings to stir in me. As noted, the book starts almost a century before open hostilities between the Yorks and Lancasters break out. But Weir carefully builds up to the central conflict, lining up her stories and sub-stories like soldiers on a battlefield, preparing for the moment where everything comes to a head. By the First Battle of St. Albans, all the motivations and tensions painstakingly laid out and explained by Weird come to fore. And with that first battle, I could hardly put down the book. I didn’t want to put down the book even after I finished, as Weir ends her novel at the (spoiler alert?) the restoration of Edward VI to the throne. The few paragraphs on the events after the restoration was enough to whet my appetite for the rest of the story. Good thing that Weir has a book precisely about that one that I full intend to read now that I’ve come around on Weir’s writing. Fourth time’s the charm, indeed.